Don't throw away old or tattered shutters, rather repurpose them into decorative accents like artwork or pieces of furniture. Hang them on the wall to use for sorting mail, bills and letters. 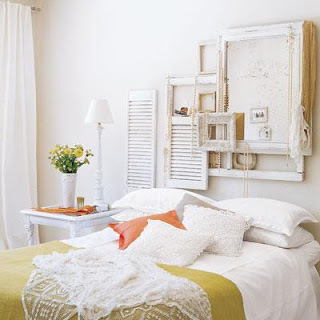 Installing them over a bed, side-by-side creates a makeshift headboard that is affordable and dramatic. 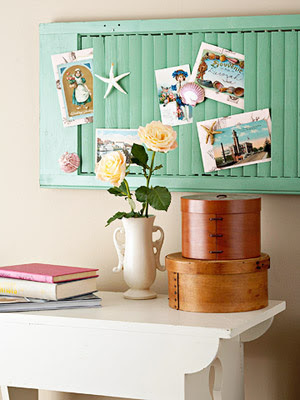 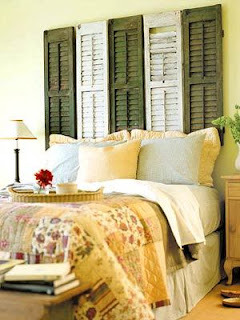 If the shabby chic looks is not your style, add a fresh coat of paint to liven up the shutters. 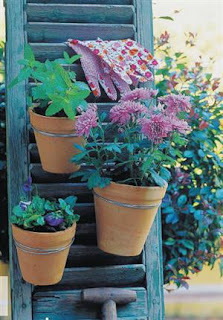 For those who love to garden, add a shutter in the garden to serve as the structure for flowering vines. 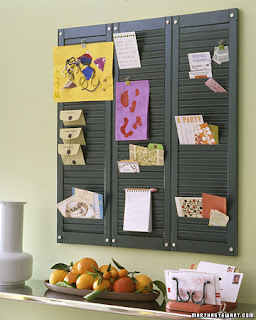 Remember, don't toss the shutters to the curb; recyle them in an unusual and functional way in the home or garden.